3 livres That Have Entranced Me: Which do toi prefer/looks most interesting? Have toi ever read a book that was so bad it was actually kind of fun to read? Two livres on eating disorders; which do toi prefer? Petty high/middle school drama series; which do toi prefer? Post your favori book set in a country that toi want to visit? Post your favori book set in your accueil country. I was recently asked par a collegue what my favori read of the an was--I review a hell of a lot of new material every year. Matter-of-factly, I blurted out my answer without a seconde thought, "The Vampire Game par Les Bailey," I told him. "In fact, I loved the entire trilogy, It was extremely well written and the écriture pulled me into another world away from my own. And the way I see it, that's exactly what a good novel is supposed to do!" I told him. We hear a lot about sexism against females, and some people think this extends to books, which it probably does. A lot of livres have no females in them, ou only have weak female characters, like damsels in distress which are just there to be saved par males. But recently, there has been a lot of strong, resourceful new female book characters. Here are my favourite strong heroines- and two of them are from livres written par male authors, so well done men for realising that females can be string too. Celebrity biographer and écriture coach, Randy Jernigan, was forced to annuler a number of professional commitments this mois when gout pain and blood pressure issues became so extreme, the writer had to seek medical attention. Randy was diagnosed "years ago" as suffering with the condition that causes intense pain, usually in the feet, ankles and knees, and is experienced par only two percent of the American population. There are so many great livres published every month, some titles worth lire may get Lost in the shuffle. So when I heard that my écriture coach and mentor of ten years was finally releasing a book about successful freelance writing, I got excited! auteur and écriture coach Randy Jernigan recently took to his Facebook page to boast about his favori writer and sidekick, auteur Les Bailey, and the final installment of his 'Vampire Game' trilogy. "If toi loved Les' first two livres in the series, then you're going to really get into his third book," Randy exclaimed proudly in his Sunday afternoon post. "I just read the first chapter last night--what powerful writing! Every sentence was strong and kept me spellbound.Book three will absolutely knock your socks off, I have no doubt!" Bill Wallace is my favori author. Here are my favori livres par him. 1.It teaches an important lesson about doing what's right even when its not easy. Plus I l’amour dogs. 2.Although the ending was kind of sad I loved lire about the relation between the boy and the dog bonding. It also made me laugh as well as cry which I believe is very important. 3.It shows toi things from the chiens point of view which I thought wqas very interesting. Hi everyone, I had finally read Paulo Cuelho's bestselling novel, The Alchemist and here is my review on the populaire novel. While lire the novel, I did not quite understand the story and it was not until the seconde half of the story that I managed to understand. It telling us to follow our dreams if a person desires for it! a comment was made to the poll: What's plus annoying? a comment was made to the poll: 3 livres That Have Entranced Me: Which do toi prefer/looks most interesting? a poll a été ajouté: 3 livres That Have Entranced Me: Which do toi prefer/looks most interesting? a comment was made to the poll: Do toi like livres that are about nature ou heavy with nature imagery? a comment was made to the poll: What kind of design does your book mark have? 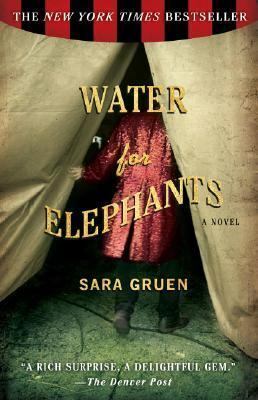 in Sara Guren's Water For Elephants, how old does Jacob think he is?